Kazuhiro Hono received his BS (1982) and MS (1984) degrees in Materials Science at Tohoku University and a Ph.D. degree in Metals Science and Engineering at the Pennsylvania State University in 1988. 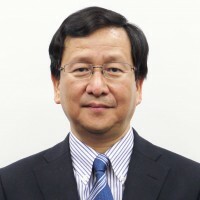 After working as a post doc at Carnegie Mellon University, he became a research associate at the Institute for Materials Research, Tohoku University in 1990. He moved to the National Research Institute for Metals (currently National Institute for Materials Science, NIMS) as a senior researcher in 1995, and is now a NIMS Fellow and the Director of the Magnetic Materials Unit. He is also a professor in Materials Science and Engineering at the Graduate School of Pure and Applied Sciences at the University of Tsukuba.